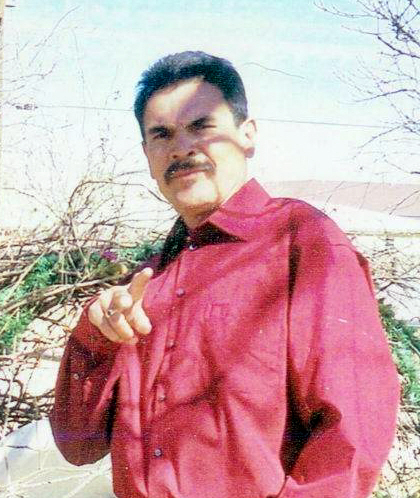 Rudy Aguirre Mendoza, 63, passed away Wednesday, March 27, 2019 in Lubbock. Services for Mr. Mendoza will be 10:00a.m., Monday, April 1, 2019 at Our Lady of Grace Catholic Church in Lubbock with Father Jim McCartney officiating. Burial will follow in Peaceful Gardens Memorial Park Cemetery under the direction of Calvillo Funeral Home. Viewing will be 1:00-9:00pm on Saturday and 1:00-5:00pm on Sunday. A rosary will be held 7:00p.m., Sunday, March 31, 2019 at Our Lady of Grace Catholic Church. Rudy was born August 18, 1955 in Lubbock to Paublo and Trinidad Mendoza. He married Mary Barrientos on October 31, 2015. Rudy worked in the oil business as an oilfield painter for many years. He enjoyed life in many aspects; painting homes, working as a painter in the oil fields, an artist, and collector of many objects. He was a hard worker all his life but his greatest joy was spending time with his family. He is survived by his wife Mary, two sons, Jose Rudy Mendoza and Jesse Ruiz both of Lubbock; three daughters, Mandy Mendoza Chavarria, Lori Ann Mendoza Torres both of Oklahoma, Lisa Martell of Lubbock; three brothers, Joe Mendoza and John Mendoza both of Lubbock, Ramon Mendoza; three sisters, Herminia Mendoza and Mary Mendoza of Lubbock, Patricia Lowe Fitzgerald of Tennessee; ten grandchildren, six great grandchildren. He is preceded in death by his parents, a sister Lydia Mendoza.